Blog - Page 2 of 3 - Collect Reviews. Drive Sales. iPosters offers one of the largest selections of amazing quality posters, canvas, calendars, prints, mugs and accessories. The team at iPosters has always taken customer service seriously and places huge value on their customer feedback. 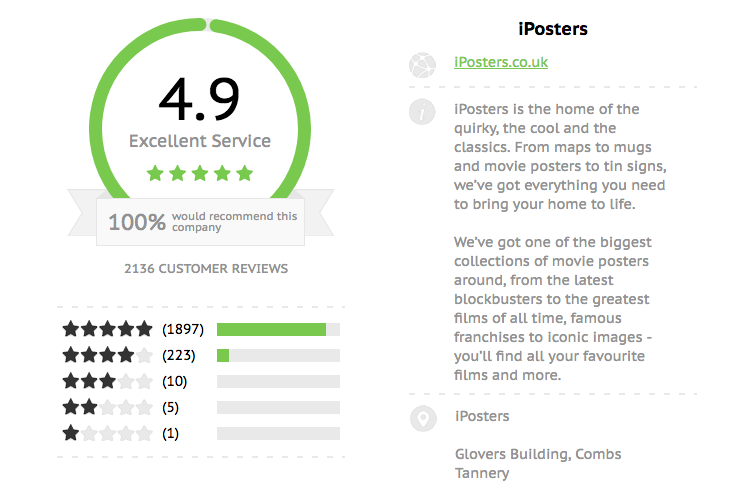 Customer reviews have been a core part of business for iPosters for the past 8 years. Recently, they decided to leave eKomi and switched to Collect Reviews. We got in touch to discuss the reasons, the process and the outcomes. 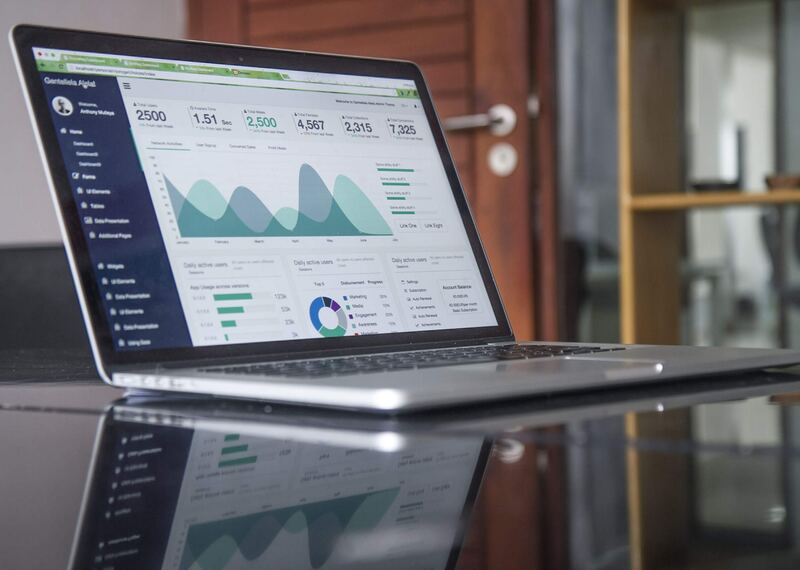 With customer reviews being such an important part of online business, and the fear of problems that might arise when changing providers, it can sometimes be tempting to avoid making such a switch. It’s a pain that Collect Reviews understands, and it’s also important to understand what motivates clients to overcome that fear. In addition to the free trial period during the transition, and the free importing of their previous reviews, iPosters is now saving more than 70% of their costs for collecting their reviews. Customers care about seeing genuine, unbiased and independent reviews. Some review companies offer extremely high prices for their services, even if your customers don’t see the extra value in this. Collect Reviews believes in offering fair and flexible pricing, ensuring you always get great value. iPosters has been collecting reviews for over 8 years and with more than 2000 reviews collected, it was important to them that nothing would be lost. One of the key factors in deciding to switch was that all of the reviews which they had already collected would still be counted on their Collect Reviews profile. With automated functionality, Collect Reviews was able to import all of the existing reviews which iPosters had collected – meaning that iPosters didn’t have to start again from zero, and still had credit for all of the great reviews from their long-term happy customers. It’s only been a few months that iPosters has been collecting via Collect Reviews, but of course we were also interested in how we compare. Given that reviews and feedback are our business, it’s really great to see positive feedback like this from our very own clients. We are happy to see that the trial period provided the flexibility and security that it is supposed to – we work very hard to ensure that we can offer solutions that work for every client we deal with. Of course it’s also great to see that iPosters is continuing to receive great feedback from their happy customers and we will continue to work with them to ensure that they keep collecting lots of feedback of their own. Collect Reviews was able to reduce the pain and difficulty usually associated with switching a service provider, offering a seamless transition of services and a generous free crossover period to get everything set up. 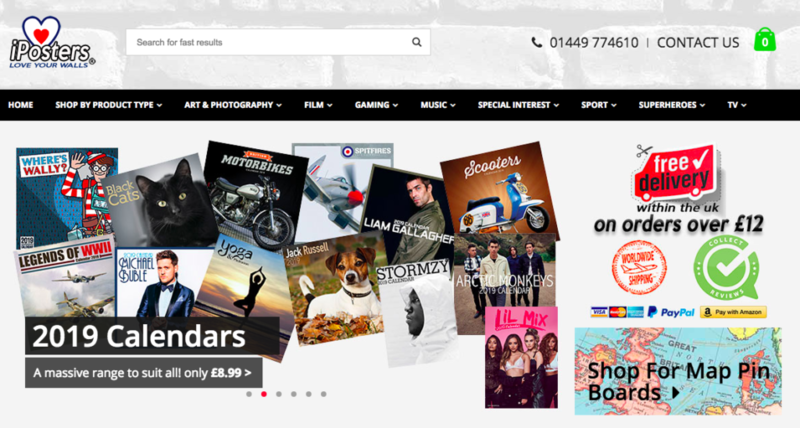 With the new service from Collect Reviews in place, iPosters still has their great reviews in place and at the same time is saving 70% of their costs on this service – getting great service at a fair price. We are so glad to have iPosters as a client here at Collect Reviews, and look forward to helping them collect another 2000 great reviews from satisfied customers. If you’re interested to see how much you could save by switching providers, or if you’d like a risk free trial to see if reviews are right for you, feel free to book a demo or send us an email to info@collect-reviews.com. Collect your first 100 reviews with no risk!